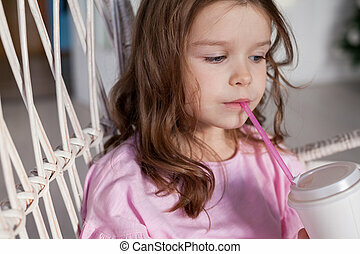 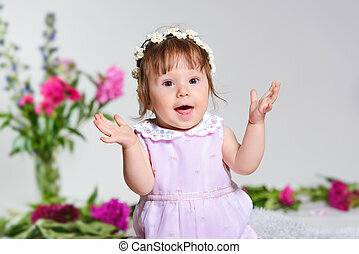 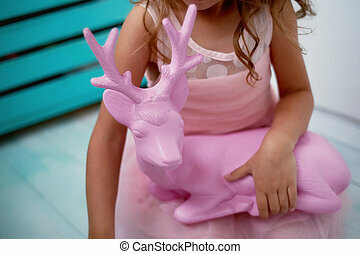 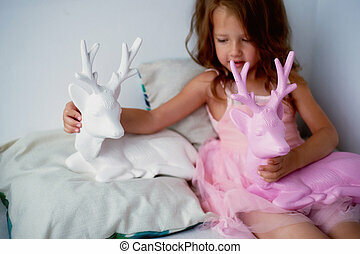 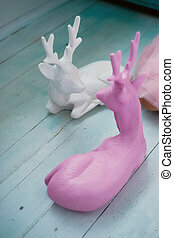 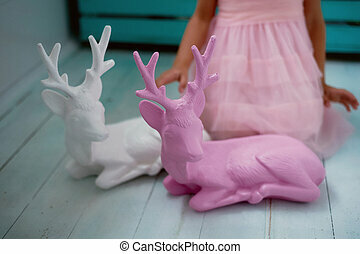 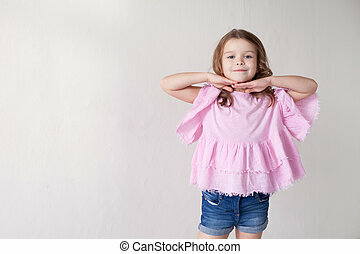 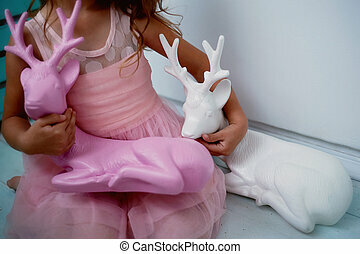 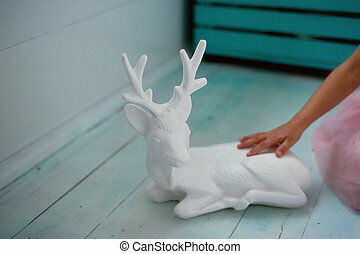 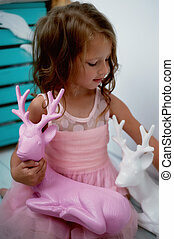 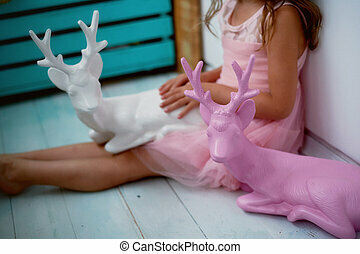 A lovely little girl 4 years old in a pink dress plays with pink deer.the atmosphere of childhood. 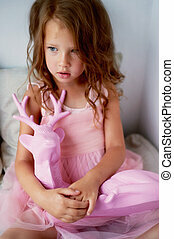 A lovely little girl 4 years old in a pink dress plays with pink deer. 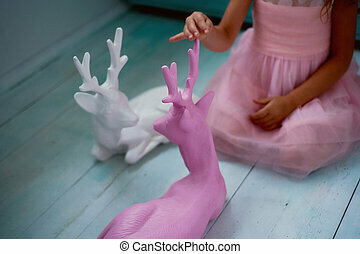 the atmosphere of childhood. 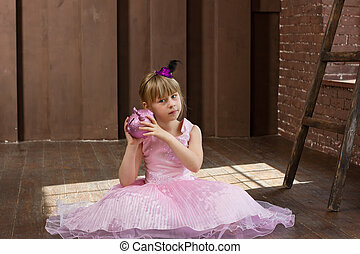 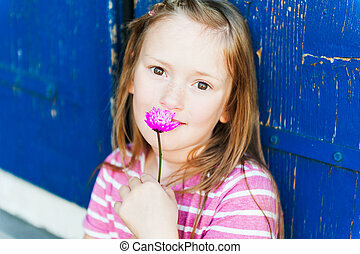 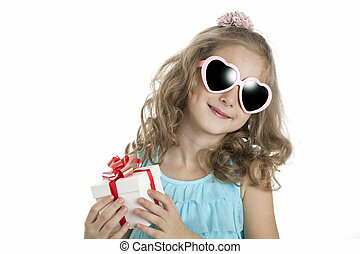 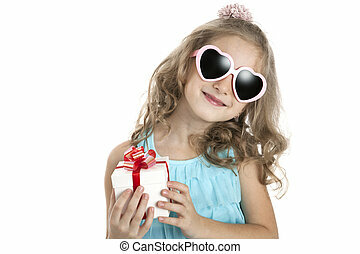 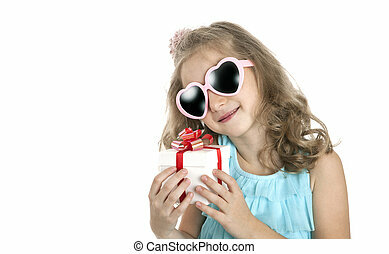 A beautiful little girl is 6 years old, with a short bangs and a big white bow on her head. 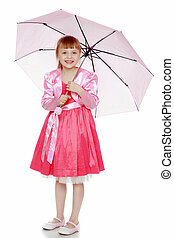 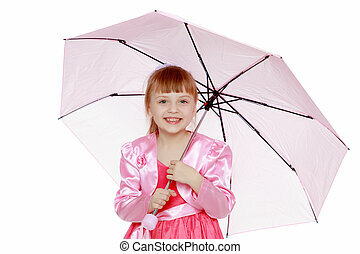 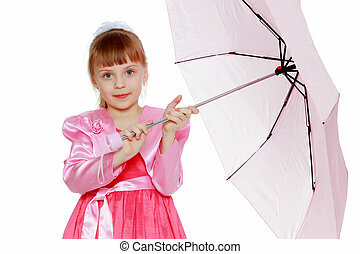 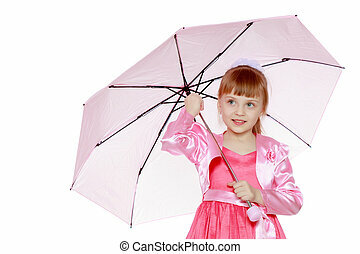 In a red satin dress and a pink jacket.The girl is holding a pink umbrella.